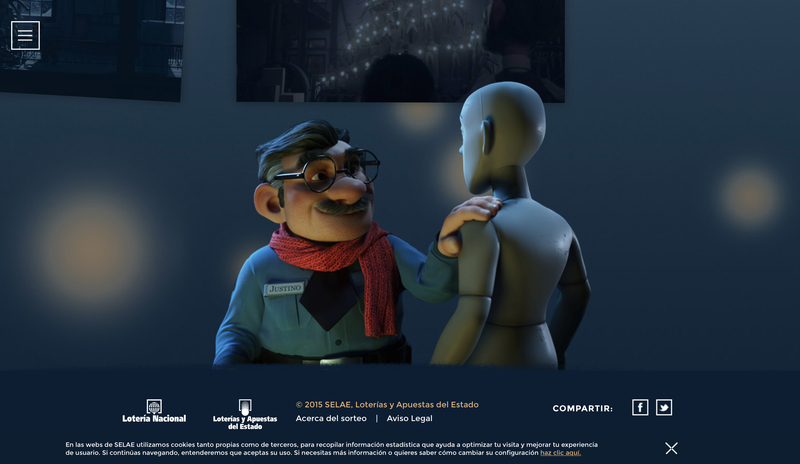 Justino, an animated commercial, is the 2015 official film for the Lotería de Navidad, Spain’s national lottery, drawn once a year at Christmas. Justino is a mannequin factory’s nighttime security guard, whose thoughtful jokes capture the imagination of his daytime colleagues. This inspires them to enter Justino into the lottery draw and eventually share their winnings. Loteria is all about the spirit of sharing, reinforcing the values we all associate with Christmas and the festive season. 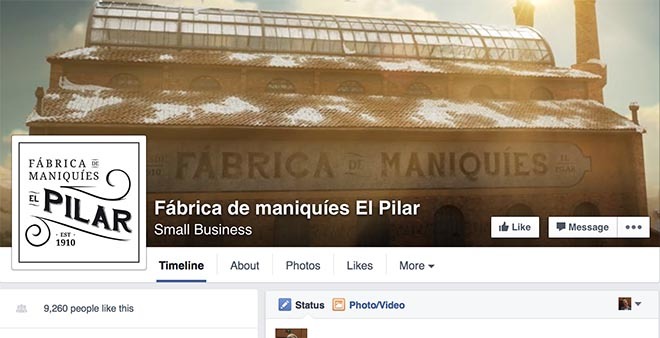 The 3.5 minute long film reached 2 million views on YouTube in the first two days, and aired on Spanish national TV on the 17th of November 2015. More than just a prize draw, the Lotería, ‘El Gordo’, is considered the world’s biggest lottery; a highly anticipated yearly event in the Spanish cultural calendar with more than 46 million entrants. The winners for year’s Lotería de Navidad will be announced on the 22nd of December. 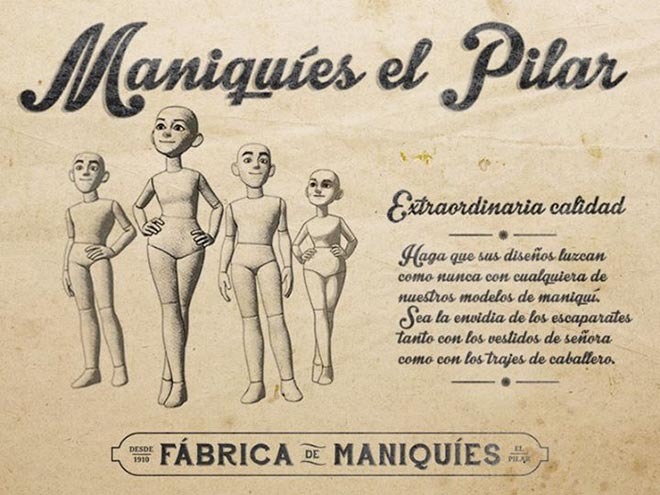 Till then, participants can enjoy Justino Vigilante’s story, one that has been brought to life through his own Instagram feed, as well as a Facebook page for the Fábrica de maniquíes El Pilar. 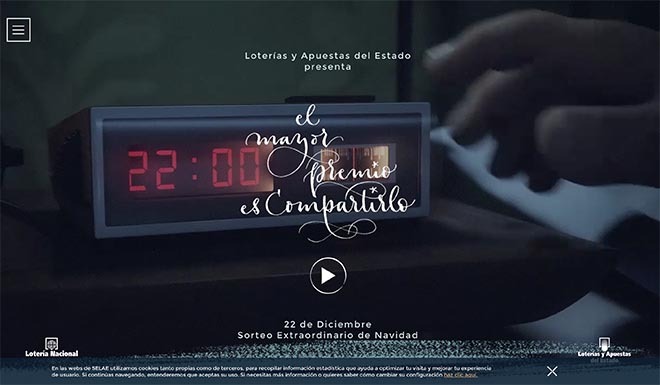 The Lotería de Navidad for Justino campaign was developed at Leo Burnett Madrid by chief creative officer Juan García-Escudero, creative director Jesús Lada, digital creative director Iñaki Martí, creative supervisors Ignacio Soria, Arturo Benlloch, art directors Javier López Canle, Sergio García, agency producers Esther Garcia and Nicolas Sanchez, client service director Ricardo del Campo, account manager Sara Cubillo, account manager Jesús Álvarez, head of digital Tania Cavada, account executive Sandra Arán, tech team Víctor Moreno, Horacio Panella, Luis Marcano. 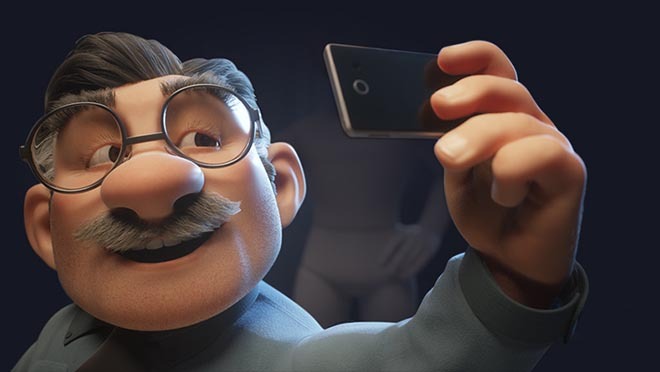 Animation was produced by directing team Againstallodds (Niklas Rissler, Derek Picken) via Passion Pictures with executive producers Lucie Friar, Ryan Goodwin-Smith, Johan Gustavsson, producers Duncan Gaman, Fritte Colliander, Daniel Rådén. Spanish production and post production was done at Blur Producciones by executive producer Mario Forniés and producer Pablo Garcia. CG was produced at Milford Creative Studio by CG supervisor Robert Krupa. Music was composed by Joan Martorell and Ludvico Einaudi (Nuvole Bianche).